Time management is always important when going away on holiday. Thankfully the airport in Malta is easily accessible at any time and as it is only around 40 minutes away from the furthest part of the island. Here are some useful tips when using the Malta International Airport! First thing to keep in mind is check in times. It is generally advisable to be at the airport two hours before the flight is scheduled to leave. Even when checking in online, the two hour rule still applies. It’s best to ask a cab company to advise you on the best pick up time, as you might need to start your trip to the airport early if for instance your pickup is during the rush hour traffic or there are road works or traffic diversions which will affect your trip. Once you’ve made it through customs, it’s time to head towards the departure’s lounge. The first thing you’ll come across is the duty free area, which could mean major savings on perfume, cosmetics, and spirits and tobacco goods. For those fashion conscious travellers, a Hugo Boss outlet is also available for some last minute purchases. For all those who’ve left it for the last minute to buy a gift or two, a number of jewellers can be found around the departure lounge. Family Travel to Malta Many agree that travelling is an incredibly rewarding and enriching thing to do. Unfortunately, many believe that once children come into the picture, travelling becomes a thing of the past. This couldn’t be further from the truth. Most families that go on holiday say it’s one of the best experiences you can have with your kids! It is vital to plan the trip well ahead, here are some tips and great locations to help you make the most out of your holiday in Malta with your family, and make it an unforgettable experience!! First things first…Slow Down You might be tempted to pack your day full of activities to make the most out of the holiday. This may work when travelling solo, but when your little ones want to take a detour, plans quickly need to be changed. Make sure to plan ahead, so that you visit one area at a time to minimize time spent on the road, thankfully in Malta this shouldn’t be too much of a problem. Using public transport, especially in Summer is not advisable. Buses are usually packed and make several stops along the way. To get an idea, travelling by bus from one side of the island to another will easily take an hour and a half to two hours; a cab will get you there in roughly forty five minutes. Activities Because distances in Malta are so short, you get the added benefit of flexibility. Get a list of activities you know are great for all the family and make sure the kids think they’re fun too (even though they might change their mind later!). If your accommodation is towards the St Julians and Sliema area, you’re never further than 20 minutes away from either side of the island. Here is a list of family friendly activities on the island; Bird Park Malta ; One of Malta’s best kept secrets. With around 200 species of birds and other animals to look at, this is definitely a place worth exploring and taking your time in. The guides here are great and manage to strike a balance between entertaining the kids and educating the older crowd too. Popeye Village; Originally a film set in the 1980’s for the musical ‘Popeye’, this unique location is a great place to spend a day with the family. Start off the day by exploring the film set, the location is a walk-through museum. You’re bound to bump into Popeye or Olive while walking around! There are two onsite restaurants too so you won’t need to plan ahead where to eat. The set also sits on a beautiful bay, with a swimming and large sun deck area and an optional boat cruise around the bay, perfect after a morning of walking around in the sun and a tasty meal! Mediterraneo Marine Park and Splash & Fun; Two activities right next to each other, every parent’s dream! The marine park is a great way for all the family to learn more about the marine life in a fun environment. The park has three main presentations including a dolphin, sea lion and parrot show. The park also is home to other species including Snakes, Macaw,Tortoises, Turtles, Frogs, Toads, Spiders, Scorpions and Lizards. Splash & Fun, is a stone throw away from the marine park. The place is ideal for the whole family as it allows parents to relax while children make use of the various slides and other attractions! Animators provide a great atmosphere, dancing, aqua aerobics face painting are just a few of the activities available around. Malta National Aquarium; Malta’s newest attraction and quickly becoming one of the island’s leading tourist attractions. The 26 tanks at the national aquarium host an remarkable collection of fish species. Visitors can also pass through a ‘water tunnel’ giving people the feeling of being surrounded by ocean life. The National Aquarium comprises also the Café del Mar reef club. There’s a kid’s pool, an adult reef pool and a great restaurant. The views from the complex are truly breath-taking! The island is also littered with beaches along the coast! A great way to spend a day with your kids is at Ghadira Bay in Mellieha, the sandy beach is equipped with deck-chairs and water sport for the whole family. Malta’s sister island, Gozo is similar in many ways, but has its own unique character. Village Festas are not to be missed, marching bands, food stalls and fireworks are the perfect ingredients for a night out for all the family! When in doubt, cab companies in Malta are ideal to call and ask and they would know where most of the activities happening on the island are and can also take you to some hidden locations which you might otherwise miss out on. A holiday in Malta would definitely not be complete however, without a day spent exploring the island and getting to know the locals! Enjoy you stay in Malta, at hicabs we would be happy to show you the island, or take you for a day tour to Gozo, at very competitive prices. Call us on (+356) 2137 2137 for more information. About Malta; where to go and what to do People go abroad for a number of reasons; culture, environment, sport, nightlife, gastronomy, people, climate, history (just to mention a few). Malta is one of the few countries that has a near perfect balance of all these, boasting world famous attractions and breath-taking views, making it an ideal tourist destination for all the family. So this is why we think people come to Malta: For the Culture The Maltese archipelago has a rich culture, stemming from a diverse history dating back thousands of years. With such a unique culture it comes as no surprise that Malta was awarded the prestigious award of European Capital of Culture 2018. The summer season is bursting with cultural attractions such as local village ‘festas’. When no ‘festas’ are happening, one can visit numerous places to experience the Maltese culture such as Valletta, the three cities and Mdina. For it’s History The history of Malta is an extensive and vivid one dating back to the dawn of civilisation. A notable mention is the ‘Hal Saflieni Hypogeum’, one of the oldest free-standing structures discovered. The Phoenicians, Carthaginians, Romans and Byzantines all left their mark on the island. Valletta is full of museums and other attractions open to the public displaying the country’s rich history. Mdina has an impressive history making it a popular tourist destination. For Shopping You’re never too far from shopping opportunities in Malta. The island caters for all kind of shopping. Numerous shopping complexes can be found around the island and are easily accessible. Top brands are mostly found in the Sliema area (such as The Point, The Plaza shopping centre and the Sliema Strand). Open Air Markets are also extremely popular in Malta. Many villages have their own version of open air markets selling traditional items including food, clothing and souvenirs. Bargaining and haggling play a big part of these markets and are part of the excitement! Being an island, fresh fish is part of our daily life, the Marsaxlokk market is Malta’s main fresh fish market (and there is more than just fish), definitely not to be missed. The Nightlife! Malta has a particularly exciting nightlife! Typical to the Mediterranean lifestyle, locals take every opportunity to celebrate, the island’s nightlife is a worthy reflection of such a culture. Every village has numerous pubs, which are frequented by locals daily. 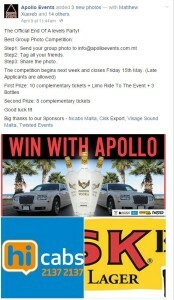 Parties in Malta are constant throughout the year, however there is an influx in the Summer months. 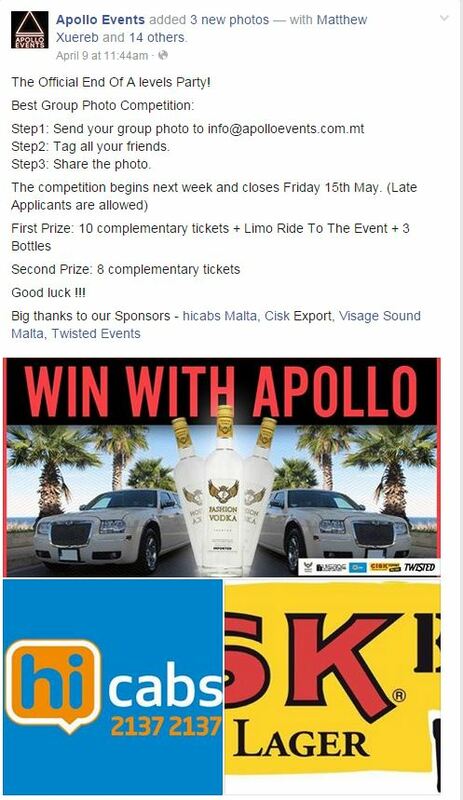 Globally recognized dj’s, as well as local talent take the stage to make Malta one of Europe’s most sought after destinations for party goers!! Paceville is the place to be for those looking for a good night out. In Summer, the streets of Paceville see thousands of locals and tourists every night! Getting to and from Paceville is relatively easy as cabs can take you to the centre of the nightlife. The Food Malta has a large number of high quality restaurants, from typical Maltese food (such as rabbit and fresh fresh) to Italian (pasta and pizza) but also Chinese, Japanese and many others. Being such as competitive industry, the standards are generally very high, and the value for money is very good when compared to eating out in other countries. Malta has excellent bread, the traditional Maltese “hobza” is a must. Malta is also popular for locally produced olive oil and wine. To Swim and enjoy the beaches and beach clubs Having such a near perfect climate, and being an island, beaches are a main tourist attraction. Golden sand, red sand, blue lagoons and rocky beaches, Malta is surrounded by a wide variety of beautiful beaches. For those willing to go on an adventurous hike, secluded beaches are hidden around the island, some even unknown to many locals. Although many enjoy a relaxing day by sunbathing by the beach, diving is also extremely popular and Malta hosts some of the most popular diving spots around the Mediterranean! Getting around whilst in Malta Buses are widely available in Malta. One of the main drawbacks is the long waiting times, especially in Summer. Bus shelters are often unable to shield all those waiting from the sun (or rain) making the process particularly uncomfortable. Cabs and taxi in Malta are a faster, comfortable and more reliable mode of transport and when traveling in a group, cost can be nearly as low as that of public transport buses. Cabs provide trained drivers to take you from door to door in full comfort, avoid parking problems and travel in fully air conditioned cars or minivans, according to your requirements. You can even book online directly. Public Transport (the bus) – the main form of public transport that you can find on the Maltese Islands are the buses. For both the local and the tourist, the waiting times can be quite long with bus stops that are not always comfortable or even sheltered from the sun. On the more popular routes the buses are often completely full, increasing your waiting time. This means that whilst the young and strong might cope and somehow manage to pull it off, for the elderly and for families with push-chairs, this could prove to be quite a problematic situation. Otherwise it is relatively cheap when compared to travelling alone in say a cab, and it is an option that is worth considering for the main destinations. Private and rental Cars – even though going out on your own private excursions might seem quite fun, you might find that it could prove to be quite difficult, most especially here. Even if we take out the horrible road conditions as well as the erratic style of driving found in many Maltese drivers, the narrow roads and the serious lack of parking in all main central areas will be unbearable. This however gives you more flexibility that the traditional bus, but is of course a more expensive option. Cab and taxi – Whereas public transport is crammed, and often has no A/C, private cars have those added luxuries but then again have their own issues, Cabs however provide all the pro’s without all the cons! It’s important to note that cab companies may be a little pricey compared to the alternatives, especially when driving around a lot, however at the end of the day you get what you pay for. Cab companies offer trained professional chauffeurs that pick you up from ANY location and stop you right at your door. They offer a diverse range of services from corporate accounts to private tours (and excursions) as well as a friendly and safe environment. 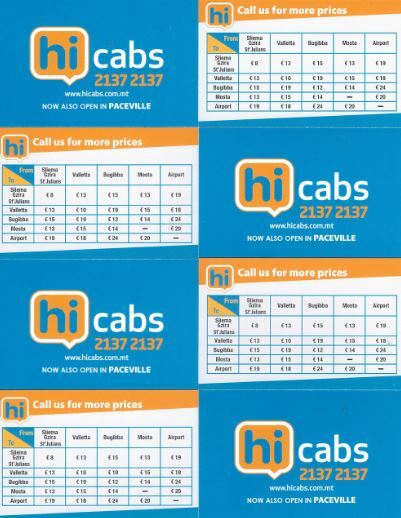 And at the end of the day the prices for cabs and taxis on the whole island are relatively cheap compared to most other EU countries, which will provide a more cost-efficient and safer service. Cab companies cater for all – whether picking up a large bubbly family, or the single bachelor coming for the good nightlife. Always choose cabs that have tracked vehicles, with trained and smart drivers, for added safety, if they have online bookings and a 24/7 service, its even better. Honestly after reading all this don’t you just feel like catching a cab? 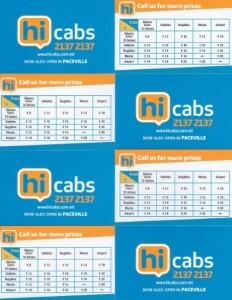 You can call hicabs, the blue cab company on (00356) 2137 2137 or book online.